I swear I actually worked out which book sparked my love of reading, once, and I'm fairly sure I blogged it. What isn't helpful is that I can't remember the book, nor can I remember in which post I put that exciting info, so... I'm just going to go with the books I remember most from my childhood: the Rainbow Magic books by Daisy Meadows (pseudonym, anyone? ), all of the books by Qwyneth Rees, and of course I devoured everything written by Roald Dahl. I also loved Goosebumps, Charlie and Lola... I could go on, but I'm not going to, because I've already written a post about my childhood favourites here! Obviously, books like Divergent and The Hunger Games are all very similar, and I recently enjoyed The 100 series by Kass Morgan, but I felt it was hugely similar to Matched by Ally Condie. Some of my favourite books, though, like Anna and the French Kiss by Stephanie Perkins and Hello, I Love You by Katie M. Stout are similar, yet I love them anyway. When I like something, I tend to want more of it, so similar books don't reeeeaaally bother me unless they're crap. Don't yell at me, but I don't think I've ever read anything by Maggie Stiefvater, Leigh Bardugo, Laini Taylor, V.E. Schwab or Sarah J. Maas. Each of them have written so many books that I don't know where to start and, like I said in this post, it's daunting, time-consuming and more than a little financially-crippling to get into several massive series at once. Fish Out of Water by Natalie Whipple. I remember reading and reading and reading, and then looking at my phone and discovering it was 5am and I hadn't slept. I was so confused because it really didn't feel like it had been that long. SO. MANY. Draco and Harry (Harry Potter), Scorpius and Albus (Cursed Child), Clary and Jace (The Mortal Instruments), Emma and Julian (The Dark Artifices), Simon and Baz (Carry On), Charlie and Gabriel (Songs About a Girl), Allie and Carter (Night School), Eden and Tyler (Did I Mention I Love You?)... there are more. Lots more. I'm going to go with Anna and the French Kiss by Stephanie Perkins. I lost a whole Christmas Eve to this book. When I found out I'd be studying Shakespeare's Antony and Cleopatra, I was like... why/how are we supposed to study something that isn't even English/ugh/hating life. The usual. But after we'd studied it in depth and I understood what it was about, I actually quite enjoyed it. I wouldn't re-read it, but it wasn't as horrific as I'd originally thought. The same thing is happening again, this time with Wuthering Heights by Emily Brontë - although it's taking a bloody long time to get through. I'm excited to get stuck into Sarah J Maas's books one day, as they seem to be on the same level of awesome as Cassandra Clare's books, and you know how much I love her. Hopefully I'll enjoy them as much as everyone else! I'm not overly bothered about collector's editions, but my Harry Potter books came from the charity shop, so they're all battered and... well-loved, shall we say. It looks messy on my shelves, too, because some of the books are little paperbacks, and others are huge hardbacks. It would be lovely to have one of the pretty new box-sets. Cassandra Clare and C.J. Daugherty. If you didn't see that coming, I'm a bit concerned. Maybe you should read my blog more often. Last year I read and adored the first book in a new trilogy by C.J. Daugherty and Carina Rozenfeld, and I've been waiting for the next instalment for OVER A YEAR. I don't know how I've done it, to be honest. That was so fun to answer, and whoever came up with this tag is a genius! If you're reading this, then I tag YOU. 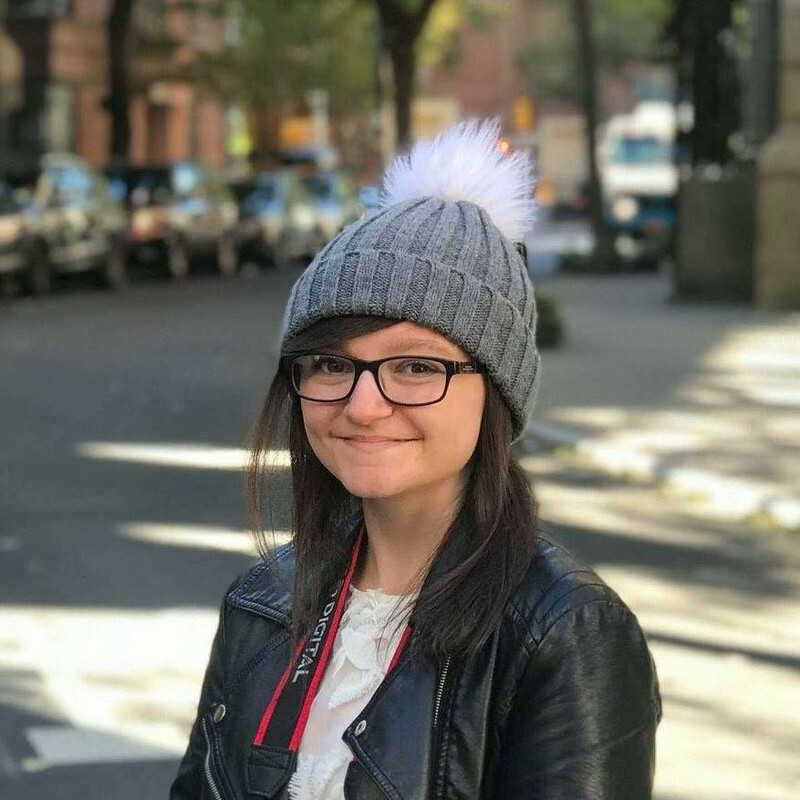 I'd love to see what answers you come up with! Do you play Pokémon Go? What team are you in? Mystic FTW. 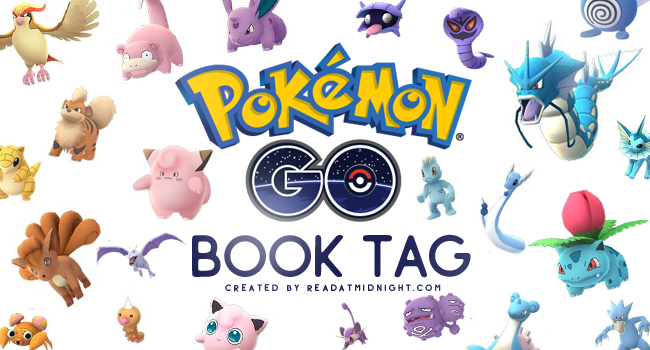 This is a great idea for a tag - not that I play Pokemon Go (not on contract so no data). Out of curiosity I looked up Rainbow Magic on Goodreads and it says: 'Daisy Meadows is the pseudonym used for the four writers of the Rainbow Magic children's series: Narinder Dhami, Sue Bentley, Linda Chapman, and Sue Mongredien.' I guess they wanted something memorable and child friendly. Maggie Stiefvater has a standalone, The Scorpio Races, which I adored. It is the same in writing style as The Raven Cycle books (which I LOVED). I have been told her earlier books about werewolves and the Fae weren't for me because thery are a bit Twilightish. The new Six Of Crows books by Bardugo are a duology, and although they take place in the same world as The Grisha trilogy, you don't need to read the trilogy first. Have you seen the boxed HP sets based on your Hogwarts house? I would love a set like that. Our books were new, but the first three are falling apart from three people reading and rereading them, and I dumped an entire mug of coffee on Goblet Of Fire! The Illustrated books are wonderful, too. My son bought me Sorcerer's Stone last Christmas and he is giving me Chamber of Secrets for my birthday next month, so maybe I will be satisfied with those. This is a great tag!